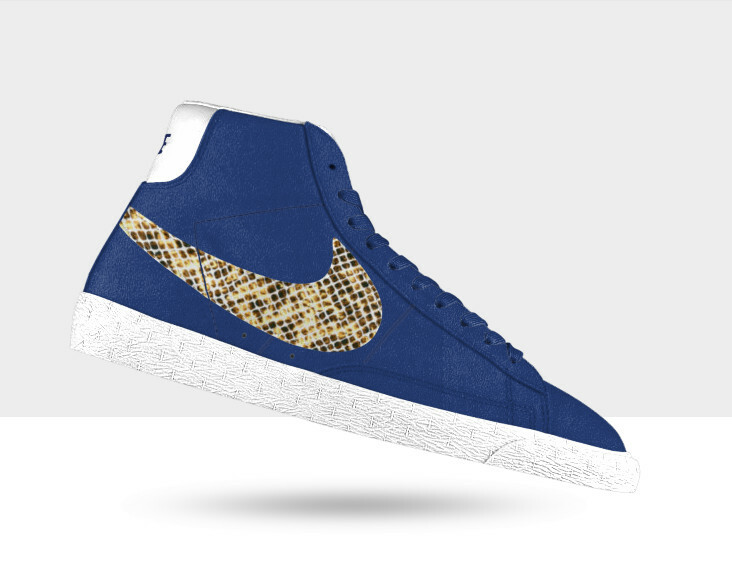 New colors and materials are now available for the Blazer Low and Mid at Nike iD, including snake print Swooshes. 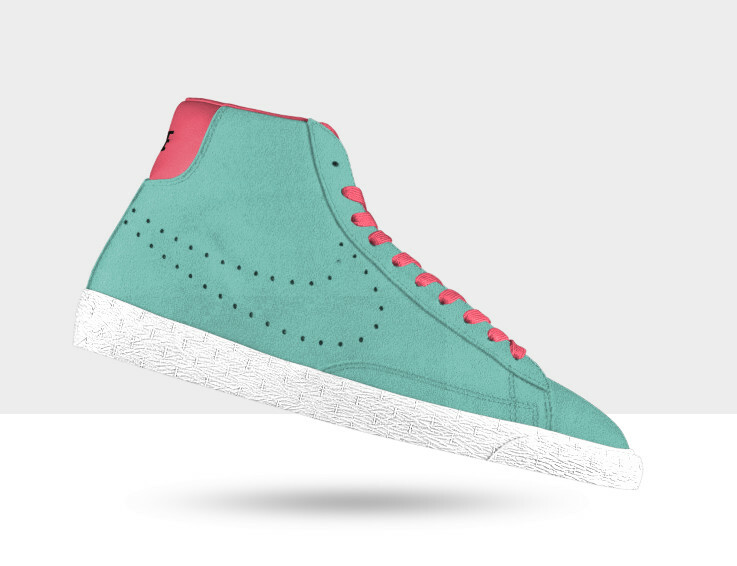 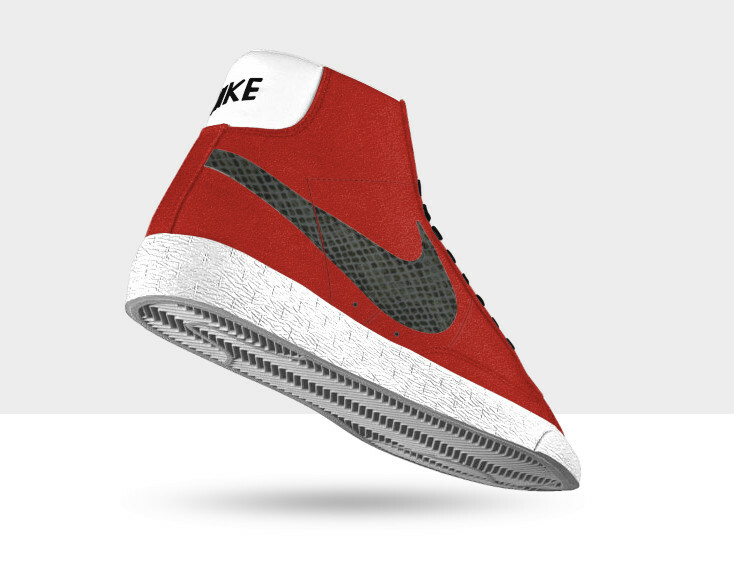 Blazer fans now have a few more options for the classic sneaker now on Nike iD. 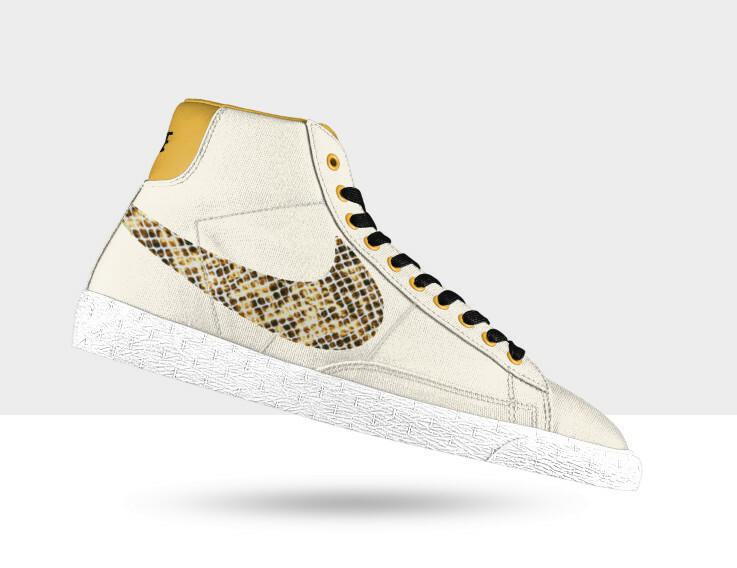 In either low or mid cuts, you now have upper material options of canvas, suede or leather along with Swoosh options in snake print, leather or a perforated outline. 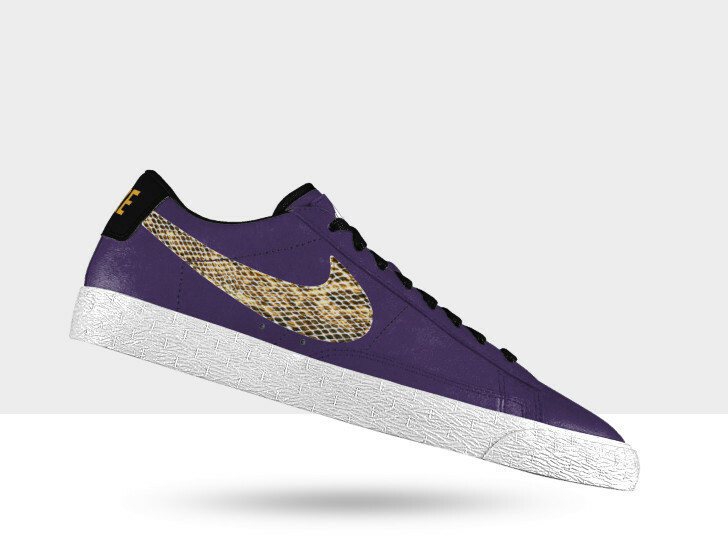 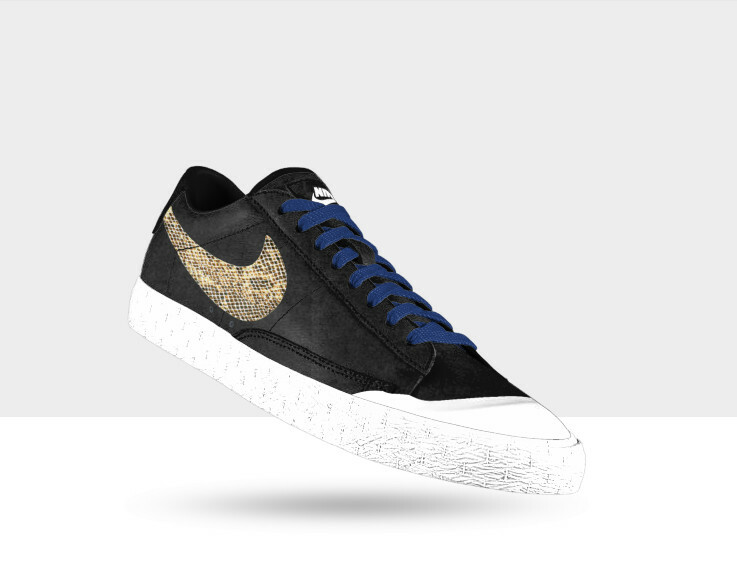 Check out a few examples below, and head over to Nike to start customizing your own pair.